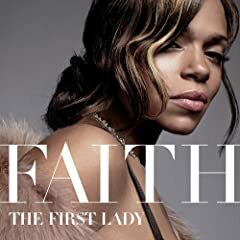 Our associate D spent the better part of last week praising Faith Evans. No context was added, just random phone calls and text messages demanding that I find him more of her work. But Faith Evans was on my “ignore this artist” list, for reasons I had forgotten. I ignored the request. But this week I hear a remix of her song “Mesmerized” for the first time. The Freemasons Full Vocal Mix? It’s hot! I don’t care that the song is a total rip-off of Company B’s “Fascinated”, it gets me moving all the same. Oh, hell no! She’s the widow! I then remembered her awful contribution to Puff Daddy’s “tribute” to her husband, ruining the weakest link in The Police‘s music catalog. I wrote Faith Evans off at that point. Now, almost a decade later I’m finally considering an end to the fatwa. Meanwhile D has never heard “Mesmerized”! What Faith Evans song got him excited? “Love Like This”, a pedestrian 1998 track he’s only heard of now! This man has no taste!